The reappropriation of pre-worn clothes and accessories, historically reviewed, includes a range of practices, from straightforward methods of unhemming garments and reusing the raw material, perhaps turning it to the less worn side, as would have been practiced in medieval times, to the complex scaffold of trades in the nineteenth century. These industries recycled all manner of clothing, with machine-like economy, through specialist and discreet skills. Perhaps the most technologically advanced was the production of "shoddy" cloth in the North of England from rags of wool, cotton, and indeed all fibers (except silk) which became the staple fabric for the ready-to-wear garment production in 1834. An exploration of the formal and informal ways by which secondhand clothes reached the resale market should highlight that some apparently informal ways may indeed be considered formal, especially in the case of servants receiving their masters' "gifts" of clothing, which were actually considered a part of their remuneration. In fact, the secondhand clothing trade could be said to have actually diminished in complexity over the last two centuries. It used to consist of many separate businesses employing various skills necessary for the economical recycling and remarketing of different categories of actual garments, as well as the raw material of cloth. But the origins of the advanced complexity of the secondhand clothing industries of the nineteenth century can be discerned much earlier in records of the extensive exchanges of secondhand garments amongst the Western world's urban populations during the latter half of the seventeenth century. The Londoner Samuel Pepys' diary (1660-1669) tells of many transactions involving clothing, and perhaps many more where such gifts are offered and accepted. Scholars of the diary often note intimations of Pepys' vanity: he did indeed regularly employ his father's tailoring skills to restyle old garments, often to reflect London's fluctuating fashions. Thus many gifts from the wardrobes of Pepys' more affluent friends were adapted to better suit the needs of their new master. "Samuel Pepys, though vain, was not too proud to sport a second-hand accessory of quality which he could not afford to buy himself" (Stanlisland, p. 5). At this time London's secondhand tradesmen were dealing in very large amounts of stock, both old clothing and new, in some cases bringing in thousands of pounds. Such traders were very profitably engaged in the provision of ready-made clothing for the seamen living and working aboard sailing fleets for months at a time, for which the clothes' dealers would be paid thousands of pounds in each transaction. The seventeenth-century Venetian experience contrasts with that of London in that the framework by which tradesmen were permitted to go about their business was strictly governed by regulatory bodies. For instance, the Venetian Guild of secondhand clothes dealers, L'Arte degli Strazzaruoli, in tandem with various civic bodies, including Venetian health officials, conspired to regulate every aspect of the trade, particularly during plague outbreaks as used cloth exchanges were suspected of transmitting disease. A particularly interesting feature of the Venetian trade is its close association with prostitution; Venetian courtesans procured clothing, by buying or renting, from such secondhand sources. During the eighteenth century, London's secondhand clothes industry was closely allied with its "slop" or ready-made clothing trade. Madeleine Ginsburg, a leading scholar in this field, identifies a considerable disparity between the provincial availability of used clothing in comparison to urban areas at this time. It is an equally important point that secondhand clothing not only furnished the affluent with more or less fashionable clothing, it was also an essential source of basic clothing provision for the poor. Focusing specifically on the Scottish city of Edinburgh, Elizabeth C. Sanderson has evaluated the role of the trade as a central part of the everyday life of most citizens. She makes the important point that during the eighteenth century the use of pre-worn clothing was an experience familiar to nearly all classes in society. Considered perhaps the definitive account of the mid-nineteenth century increase in the trade, H. Mayhew's London Labour and London's Poor tells of the concentration of activity in London's East End. However, the most consequential development at this time was the increasingly competitive pricing of cotton and wool fabrics, and accordingly, ready-to-wear garments, thus exponentially limiting the appeal of secondhand clothing, in home markets at least. In this way, used clothing exports, especially to Africa, became an ever more significant aspect of the trade. This is an angle explored particularly thoroughly by Karen Tranberg Hansen's research into Zambia's trade, whereas Ginsburg interprets charity, and the rise of the rummage sale, as the most important developments taking the industry into the twentieth century. Certainly the retail environment constituted by such sales, where purchasers rummage through large quantities of stock, could be considered conducive to the quick and efficient sale of used goods, particularly in urban areas. World Wars I and II saw the increase of the profitable potential of secondhand clothing, especially for resale in Africa. At this time the supply and demand aspect could be strongly linked to the West's veritable accumulation of serviceable and wearable, but outmoded, clothing and the real needs for clothing in developing countries. And it is here that one may perceive the beginnings of the nature that characterizes the trade in the early 2000s. From the 1970s onward, fashion commentators have often noted a marked plurality of styles, compared to the former singularity of fashion houses' diktats; a development engendering fertile environments for alternative, niche fashions, and retrogressive styling. Thus secondhand clothing has come to be seen as offering potential for expressing individual and more autonomous style. The early 2000s have seen widespread fashion trends reflecting early twentieth-century styles and the decades after World War II. 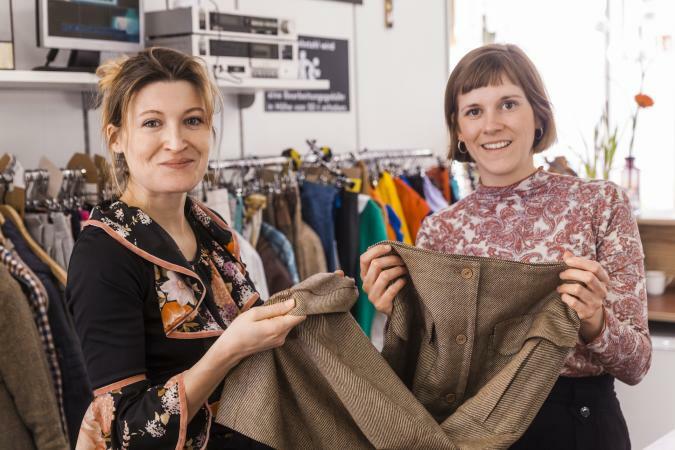 In such a fashion zeitgeist, the cultural and economic capital of secondhand clothing, or vintage as it is latterly termed, has vastly increased. 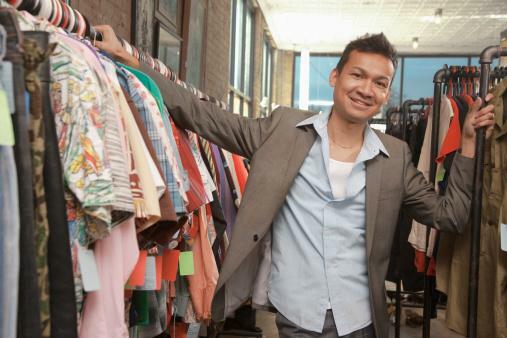 Secondhand clothes' stylistic appreciation has created new markets for its retail: for instance, in designated concessions of urban fashion multiples, within the high-fashion collections of designers including Martin Margiela, and on auction websites, such as Ebay. "Having my old black suit new-furbished, I was pretty neat in clothes today-and my boy [footboy], his old suit new-trimmed very handsome" (Stanisland, p. 46). The international recirculation of used clothing is not as straightforward as simply the export from richer to poorer nations: specific markets present more demand for particular items, for example Japan imports a considerable percentage of the world's trade in used designer denim jeans and sneakers. In these ways the state of the secondhand clothes trade could be understood as diversifying in economic potential and enjoying a favorable shift in its industrial, public, and cultural profiles. See also Recycled Textiles; Anthropology of Secondhand Clothes; Vintage Fashion. Allerston, Patricia. "Reconstructing the Second-Hand Clothes Trade in Sixteenth and Seventeenth Century Venice." Costume 33 (1999): 46-56. Arnold, Rebecca. 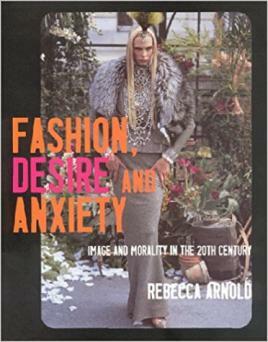 Fashion, Desire and Anxiety. I. B. Tauris and Co., 2001. Ginsburg, Madeleine. "Rags to Riches: The Second-Hand Clothes Trade 1700-1978." Costume 14 (1980): 121-135. Often-quoted and very thorough. Sanderson, C. Elizabeth. "Nearly New: The Second-Hand Clothing Trade in Eighteenth-Century Edinburgh." Costume 31 (1997): 38-48. Stanisland, Kay. "Samuel Pepys and His Wardrobe" Costume 37 (1997): 41-50. Transberg, Karen Hansen. "Other People's Clothes? The International Second-hand Clothing Trade and Dress Practises in Zambia." Fashion Theory 4, no. 3 (2000): 245-274. Excellent overview of international trade.